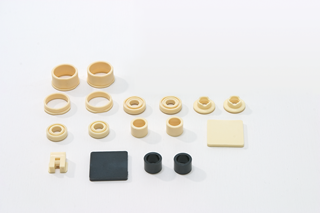 The Oiles 88-03 series are self-lubricating bearings made of PBT with added special filler. ■ Soft metal (such as aluminum) may be used as mating shafts. ■ Machinable bar stock is available as standard products.